We think birth control is for everyone. 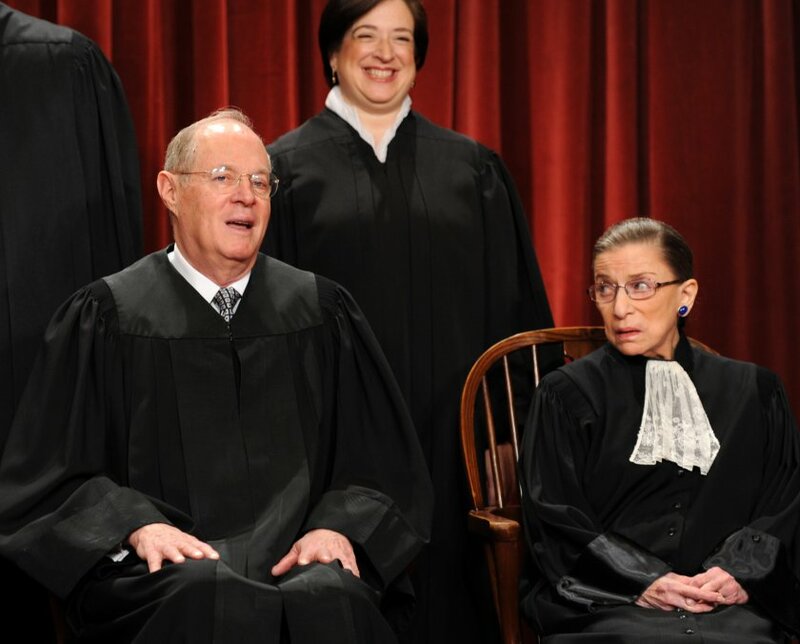 Justice Anthony Kennedy (left) was one of the five male Supreme Court Justices who sided with Hobby Lobby on Monday, saying that a corporation has the right to deny female employees birth control coverage due to the company’s “religious beliefs”. Justice Ruth Bader Ginsburg (right) wrote a scorching dissenting opinion on the case’s decision, which was joined by the other three female justices of the court. Recently the Supreme Court heard Burwell v. Hobby Lobby, a case concerning a key provision of the Affordable Care Act (ACA) that required employers’ health insurance plans to offer contraceptive coverage for their employees. Hobby Lobby, who officially won the case yesterday, sued to be exempted from the provision due to the “deeply held religious beliefs” of their company that being required to offer birth control coverage to their employees is equivalent to abortion. It is important to note that Hobby Lobby’s 401K program invests in pharmaceutical companies and manufacturers that produce various forms of birth control – from the pill to emergency contraception to the IUD – as well as drugs used during procedures in abortion care. You can still obtain safe and accessible reproductive healthcare, including birth control, from any one of our locations across the nation in Fort Worth, Austin, San Antonio, Baltimore, or Minneapolis. Find our clinic locations here or call us for directions and pricing on what we offer. We welcome all into our doors with no judgement or shame for what you’re coming to us for.